Being a romantic soul, I travelled up to Nottingham to be with my wife – who is currently touring in a play – for Valentine’s day. 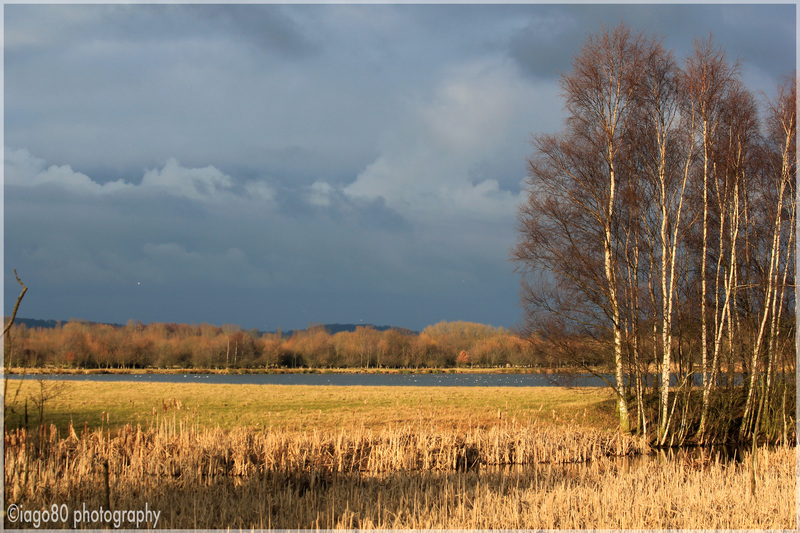 As she had to rehearse in the day, I spent Saturday birding in the North Midlands. 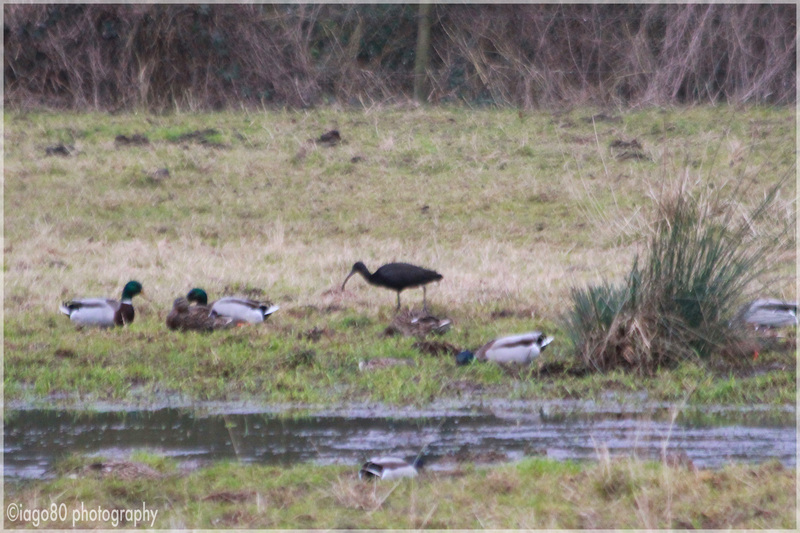 Local bird alerts informed me that a Glossy Ibis was nearby. About 20 birds visit the UK each year (a marked increase on a decade ago or more) and I believe the British Birds Rarities Committee has removed it from its list because it is understood to be undergoing an expansion of range since it settled and bred in Spain about 20 years ago. It was feeding busily until other birders arrived. It then decided to tuck its distinctive beak into its wing and sleep (“Early bird” I was thinking smugly). I drove on for my second attempted twitch of the day. This time not such a rare species as the Glossy, but in many ways more special for me – as they were life firsts. 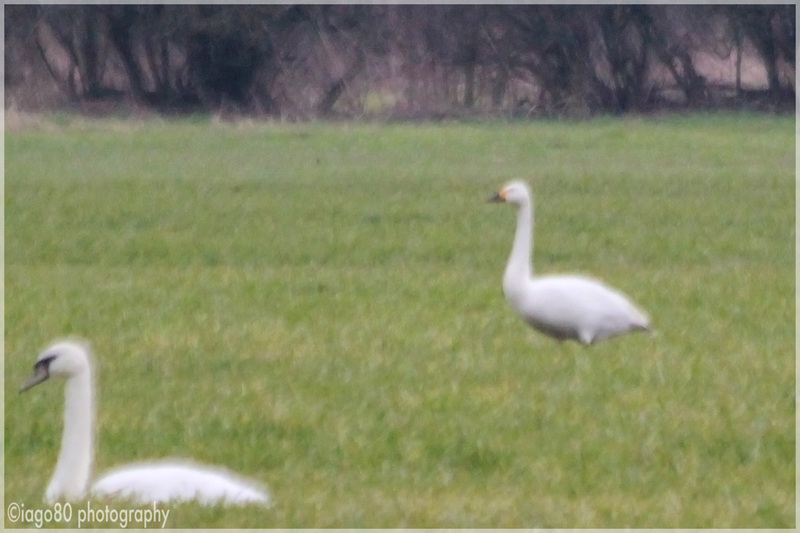 I drove to Besthorpe nature reserve towards Lincoln where I heard that two of our winter migrant swan species had been spotted a few days earlier. 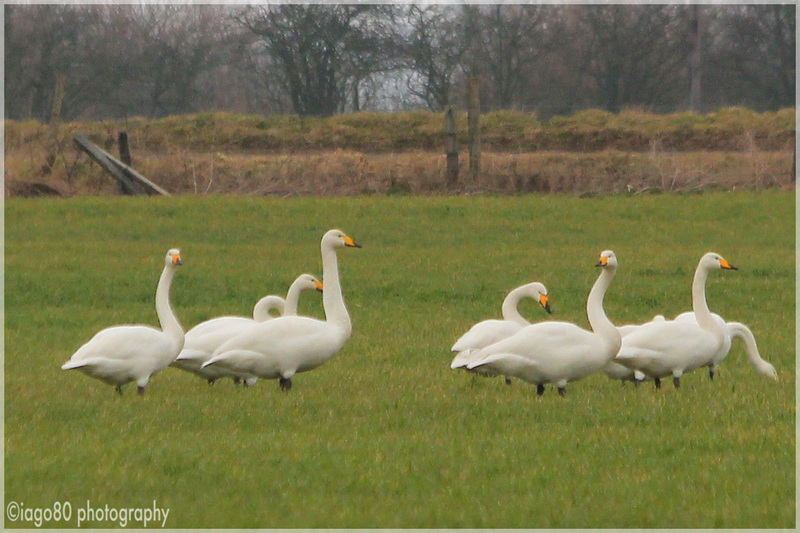 Whooper and Bewick’s Swans migrate to the UK in their thousands, but tend to settle in only a few select areas. They are famous at Slimbridge in Gloucestershire, where the late great Sir Peter Scott studied them. DIGRESSION ALERT Sir Peter Scott is one of the greatest naturalists of the 20th Century (founder of both the WWF and WWT). My favourite, and poignant, story about his life actually concerned his more famous father, Captain Robert Scott (of the Antarctic): Captain Scott’s last letter to his wife (soon-to-be-widow) as he faced death in the tent with his fellow explorers in the Antarctic blizzard included a line about his son, the young Peter, who he knew he would never see again. It said, “make the boy interested in natural history if you can; it is better than games”. This wonderfully prescient or inspirational (depending on how you deem it influenced the outcome) comment became truer than he could have ever hoped. 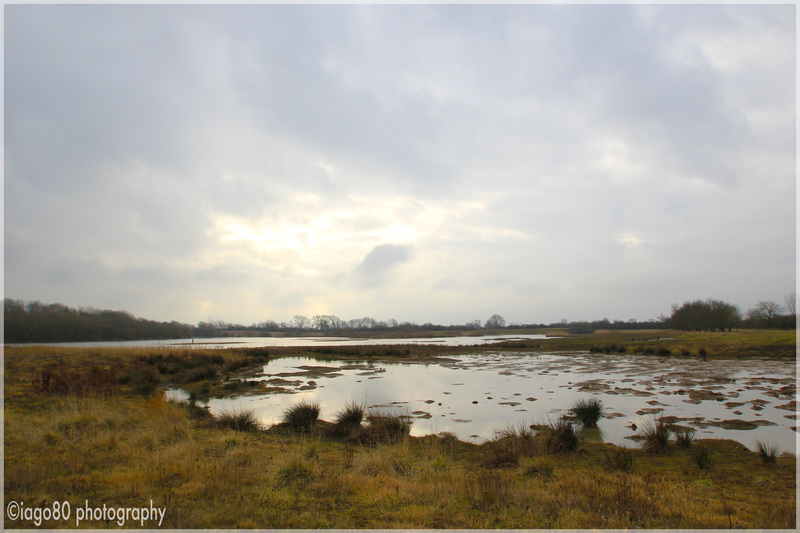 I finished watching some noisy Redshank and a lone Oystercatcher – a far cry from the hundreds I saw the weekend before at Dungeness – and was deciding whether to turn left and walk around the reserve in a circle, or right and walk along the river Trent. 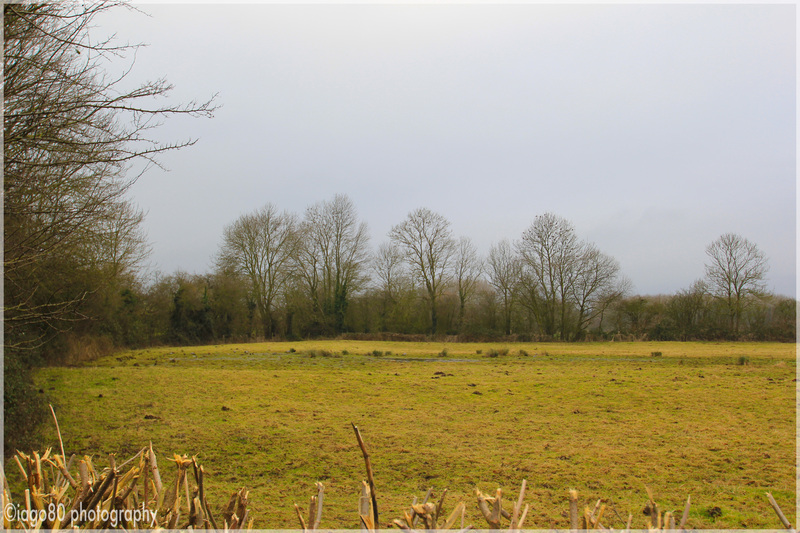 As I looked right, I could see a flicker of white through a hedge that looked like a Swan, so I chose ‘right’. From a distance I started carefully studying their faces as my hands almost froze to my binoculars (I left my gloves in London). Sir Peter Scott – an accomplished artist – kept notebooks with drawings of the facial markings of the swans at Slimbridge – which he also founded – and was able to identify individual birds from their particular marks. I was simply trying find a Swan with slightly less yellow on its face – quite hard as they were far away and often had their heads in the grass feeding. Three successful twitches in a row! Could I make it four? 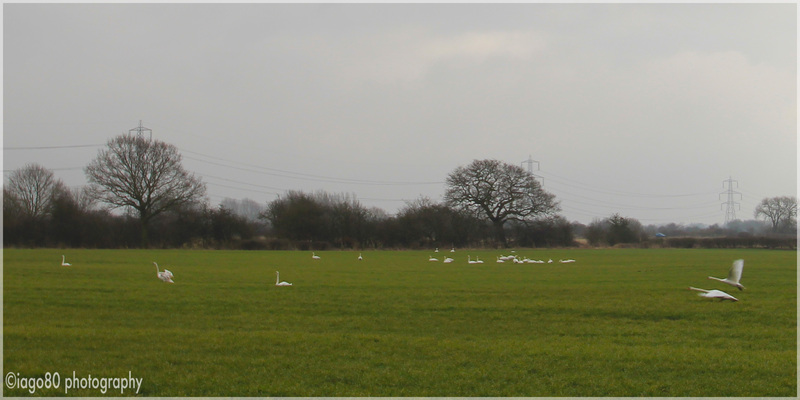 There is a large lake known as the A52 Pit – because it sits next to the dual carriageway of the A52 – which is the private property of a farmer who does not like birders tramping over his land. 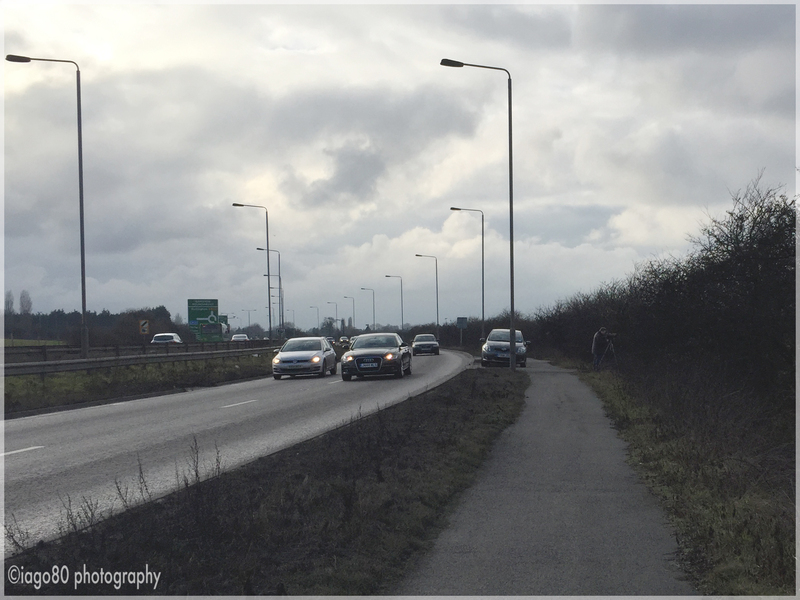 As you may be able to see on the photo above, birders dangerously pull over on the dual carriageway to peer from a distance at the water. I parked more safely further away and then walked next to the hurtling traffic for a mile or so. 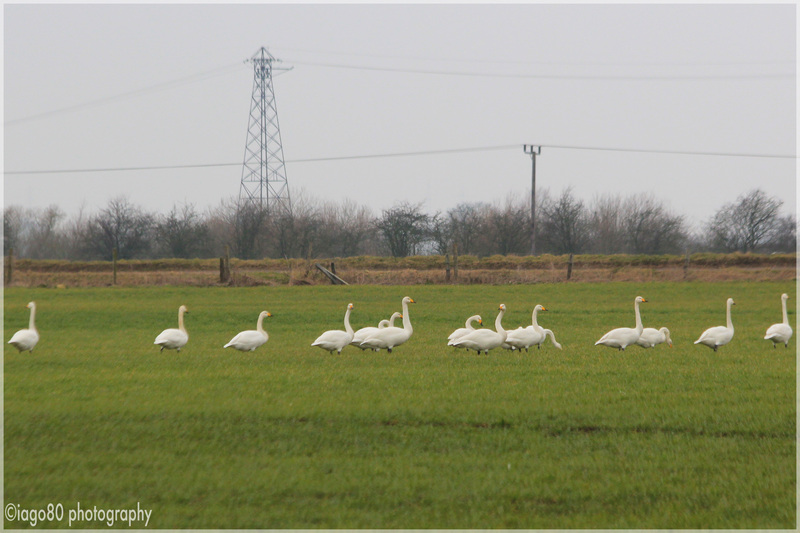 This entry was posted in Bird watching, Birding, history, photography, Travel, wildlife and tagged Bewick's Swan, birding, Cygus, Glossy Ibis, migrant birds, Nottingham, Nottingham birding, Nottinghamshire birding, Swans, Whooper Swan on February 15, 2015 by iago80. Thanks. Wow! I don’t blame you for staying inside. I have been watching the US and Canada weather reports with interest. The sort of interest one can have 3500 miles away where it is 20 degrees warmer! And there was me complaining about my hands getting cold without gloves and it wasn’t even freezing! Hahaha! Sunday I went out to fill the feeders and heated bird bath and it was -15 Celsius, but there was no wind. It was “relatively warm”….LOL!